Park Farm, a dairy farm of 550 cattle was given the chance to improve its energy efficiency by installing a Vacuum on Demand pump. The vacuum pump can run at slow speeds, only speeding up when extra vacuum is needed. The vacuum pumps are used to produce sufficient air flow to operate the milk harvesting equipment and represent 80% of the energy used by the milking equipment components. The pump enabled the dairy to lower its energy consumption and energy emissions, as well as significantly reducing noise in the dairy shed. The LEADER grant also enabled the dairy to purchase a heat exchanger, which uses the heat from the milk refrigeration units to heat water which in turn is used to wash the milking plant. 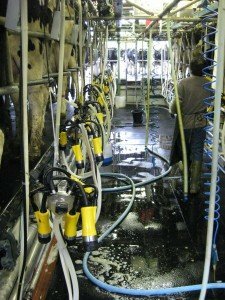 To improve the efficiency of the dairy further, the grant paid towards an automatic dipping and flushing system. 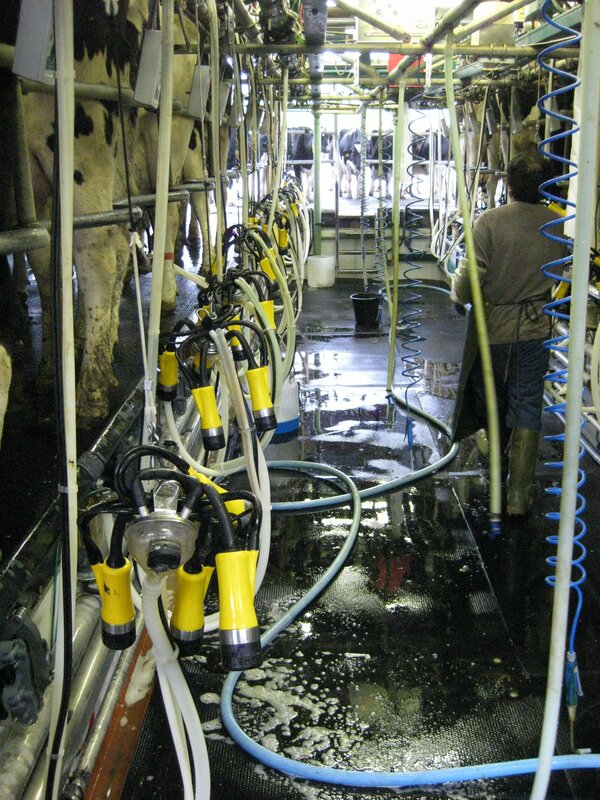 The milking clusters automatically spray teat dip on the teats and then wash themselves between cows to prevent cross infection, this significantly aids the animal health and welfare and also improves the efficiency of the dairy. Bob Ives, owner of the business explained why the funding was so important, “The energy saving items will not only utilise electricity more efficiently, but have helped the business maintain margins during low milk prices and the animal health items have had great welfare benefits which have also led to financial savings”.